Jim Wisco | Attorney Profile - Foley Peden & Wisco, P.A. Jim Wisco joined Foley, Foley & Peden, P.A., in 2014. Jim previously worked as a solo practitioner in Indianapolis. He also served as a law clerk for criminal defense attorney Stephen W. Dillon. Jim is licensed to practice law in all Indiana state courts and the U.S. District Courts for the Northern and Southern Districts of Indiana. He serves clients in the areas of criminal defense; family law; probate, estate, trusts and wills; real estate; and civil litigation. A Morgan County native, Jim graduated from Martinsville High School in 1999. He earned his Bachelor of Arts degree in Political Science and History from Indiana University, Bloomington, in 2003. As an undergraduate, he was a member of the Phi Kappa Sigma International Fraternity. He served as an Intern for Project Vote Smart and for Sen. Richard Lugar. Jim participated in various extracurricular activities on campus. 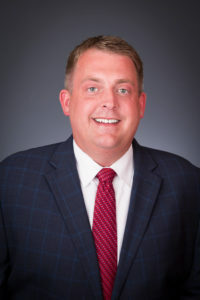 After earning his undergraduate degree, Jim served as an intern and then as a full-time staff member of the Indiana State Senate, Senate Majority Caucus. Jim began graduate school while working at the Senate. He earned his Master of Public Affairs degree from the School of Public and Environmental Affairs at Indiana University-Indianapolis. In 2011, He earned his Doctor of Jurisprudence from the Indiana University Robert H. McKinney School of Law.